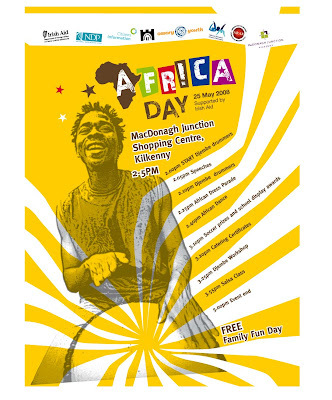 This is a design I've done for the Africa Day in Kilkenny which looks like it's going to be great fun. I've tried to tie a few things in the concept: colour, roots, sound (explosion), afro culture... although you could argue it looks more Jamaican... but Jamaican has a good bit of afro, hasn't it? Posted by Alé Mercado at 5:41 p.m.